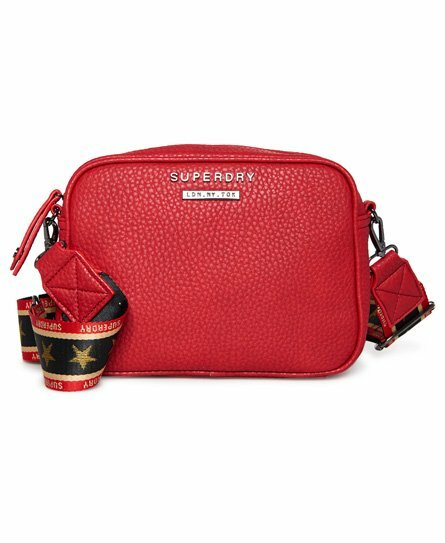 Superdry women’s Delwen strap cross body bag. Complete your perfect outfit with the Delwen strap cross body bag. This bag features a single zip fastening and a branded Superdry strap that is adjustable as well as removable to turn this cross body into a clutch. This versatile bag has been finished with a Superdry badge and an inside zip pocket.